Stunning 5-7 cm (2-3") wide bicoloured flowers striped purple, red and white fill these dwarf, nicely compact 60 cm (24") high plants. Cosimo's flowers are highlighted by finely cut light green foliage. 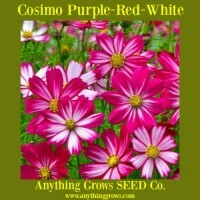 This cosmos is an early bloomer that once it starts goes all summer long! A butterfly favourite. 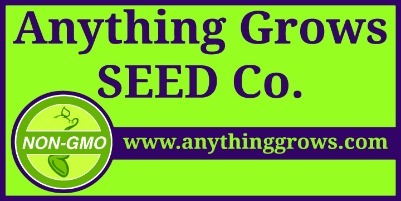 How To Grow It is preferable to direct seed cosmos in the garden although one can start them inside if desired 4 weeks before planting out. Choose a sunny site..